Piracetam is a cognition-enhancing drug with many beneficial properties. It improves memory and learning ability. It helps people with cognitive problems caused by dementia or brain injury. Research shows it might help some people with dyslexia or schizophrenia. It also has uses not associated with mental ability. For example, it’s used to prevent involuntary muscle movements and to treat sickle cell anaemia. It was the very first nootropic. Increases retention of learned behaviours in the presence of conditions, such as electric shock and hypoxia, that tend to disrupt learning. Protects the brain from the effects of injuries with physical or chemical causes, such as the overuse of barbiturates. Helps the brain control muscle contractions more efficiently. Has extremely low toxicity, few side effects and does not produce side effects, such as sedation, common to other psychotropic drugs. Today, there is no rigid definition of a nootropic. Many people consider drinks containing caffeine or taurine to be nootropics, as both of these substances are cognitive enhancers. Back in the 1950s and 60s, scientists were very interested in neurotransmitters, chemicals that transmit signals across neurons. They were especially fascinated by the neurotransmitter GABA (gamma-amino-butyric acid). GABA is an inhibitory neurotransmitter. This means it slows down the rate at which neurons fire, preventing overstimulation. Because GABA has a calming effect, the Belgian pharmaceutical company UCB thought a drug derived from GABA would make a great sleeping pill. 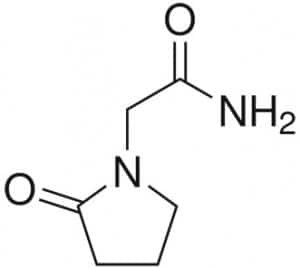 In 1964, Giurgea led the team at UCB that developed this new drug, 2-oxo-1-pyrrolidine acetamide, or Piracetam. But there was a problem. Piracetam didn’t work. It didn’t sedate rabbits or rats. It didn’t make people drowsy either. Nevertheless, Piracetam was definitely doing something. It was helping animals with a variety of neurological conditions. It prevented vertigo. It alleviated symptoms of vestibular nystagmus, a condition that causes involuntary eye movements, in rabbits. Piracetam prevented oxygen-starved rats from developing hypoxia-induced amnesia. In 1972, Giurgea coined the term nootropic to describe drugs like Piracetam, which help restore functioning in the higher regions of the brain. Soon, scientists began studying how Piracetam affects people with cognitive problems. They found it enhanced learning and memory in people with dementia. It raised the level of consciousness of people in comas. It improved brain function in chronic alcoholics. What about people without cognitive problems? In 1976, Stuart Dimond and E.Y. M. Brouwers showed that Piracetam enhances memory in normal, healthy people. 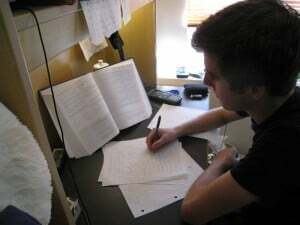 They performed an experiment on 16 college students at University College in Cardiff and found that students who had taken Piracetam performed significantly better on a verbal memory test than students who’d taken a placebo did. 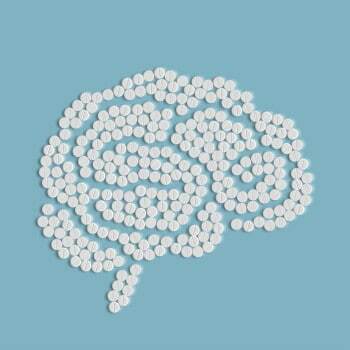 More recent studies have shown that Piracetam speeds up reaction time in healthy, young people and helps improve memory in people 55 and over experiencing normal, age-related memory decline. There are a number of reasons why Piracetam could be such an effective smart drug. Piracetam might bind with glutamate receptors and therefore reduce the levels of the neurotransmitter glutamate in the brain as well as the glutamate/GABA ratio. Under certain conditions, glutamate acts as a toxin and may be involved in neurodegenerative disorders, such as Alzheimer’s disease. It seems to increase blood flow, which could explain why it helps people who’ve had strokes. Piracetam might make cell membranes more fluid, allowing neurotransmitters to move from neuron to neuron more rapidly. It seems to make it easier for information to move from one hemisphere of the brain to the other, which could explain why it speeds up reaction times. It appears to protect brain cells from damage caused by low oxygen levels. It also seems to modulate protein synthesis, which is necessary for forming long-term memories. Piracetam might increase production of the neurotransmitter acetylcholine, which plays an important role in learning and memory. Research on rats has shown that Piracetam reverses amnesia caused by Scopolamine, which blocks acetylcholine receptors. The Therapeutic Goods Administration (TGA) considers Piracetam a Schedule 4 Prescription Only Medicine. It’s approved for treating epilepsy, under the brand name Nootropil, in combination with other medications. As of 2014 it is currently legal to import Piracetam for personal usage from overseas. The TGA requires a prescription to use and order Piracetam online. 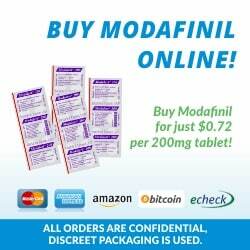 Click here to read more about Is Piracetam Legal in Australia? Piracetam build up in the brain over time, so you have to take it regularly to get the full benefit. Taking it on an as needed basis won’t be as effective. You should notice a definite change after about two weeks. 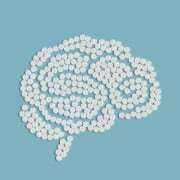 While Piracetam is generally safe, it’s best to start with a low dose and work your way up, taking your body weight, metabolism and sensitivity to medication into account. A good recommendation is to start with 1500 milligrams a day and increase the dose as needed. There’s probably no reason to take more than 4800 milligrams daily. Taking more than that won’t provide additional cognitive benefits and may increase side effects, which can include nausea, headache or migraine. Some people think you can prevent Piracetam-induced headaches by taking Choline along with it. 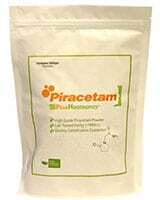 Piracetam belongs to a class of drugs known as racetams. Some other racetams are also nootropics. The most popular, in addition to Piracetam, are Aniracetam, Oxiracetam, Pramiracetam, and Phenylpiracetam. Their different chemical formulas create slightly different effects, and people will sometimes combine or ‘stack’ different racetams to take advantage of all their benefits. If you decide to try mixing Piracetam with another racetam, be sure to reduce your Piracetam dosage. Of all four racetams, Piracetam is the most researched, is the least potent, has the lowest risk of side effects and is usually the cheapest. Therefore, it probably makes the best starter nootropic. Originally posted on April 24, 2014, last updated on November 28, 2018.